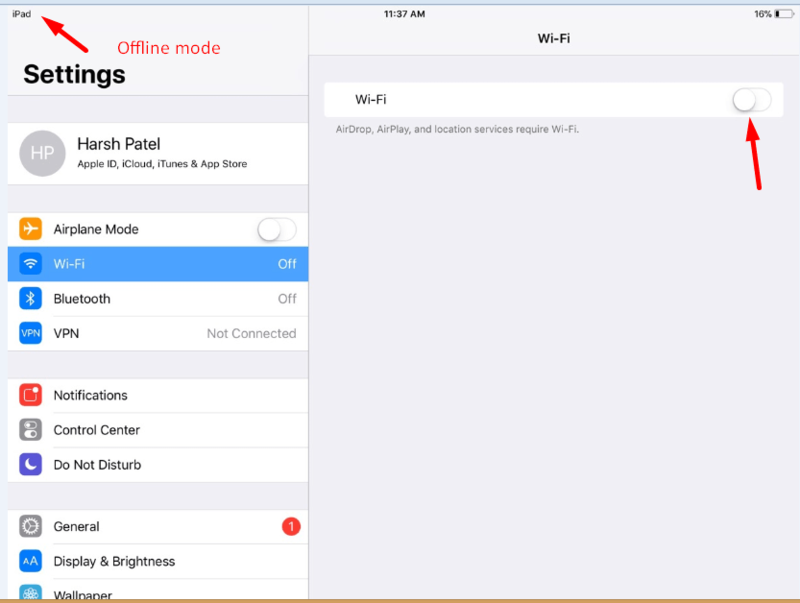 Home » Blog » How to turn off WiFi and go into offline mode and turn on WiFi ? There are two ways to turn Off Wi-Fi. 6. Again ON toggle button of Wi-Fi. 7. 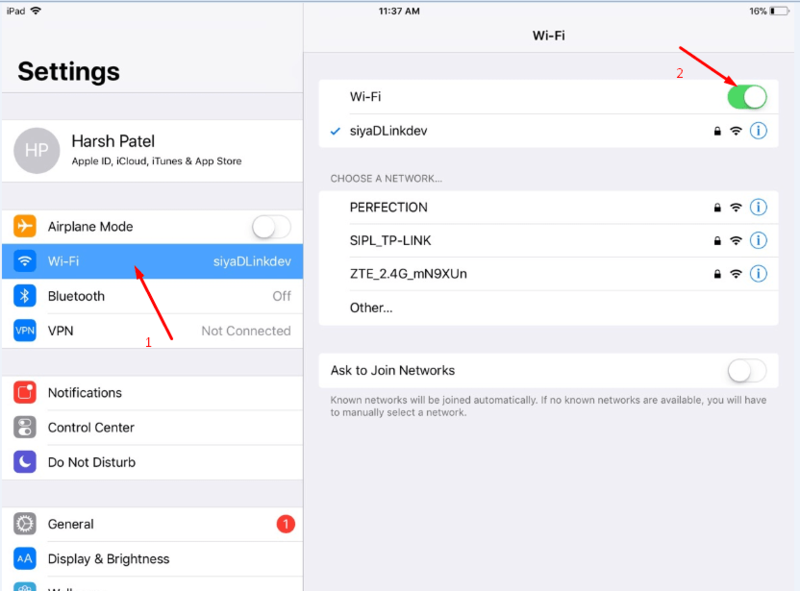 Select any one Wi-Fi from available Wi-Fi network which are display in list. 8. 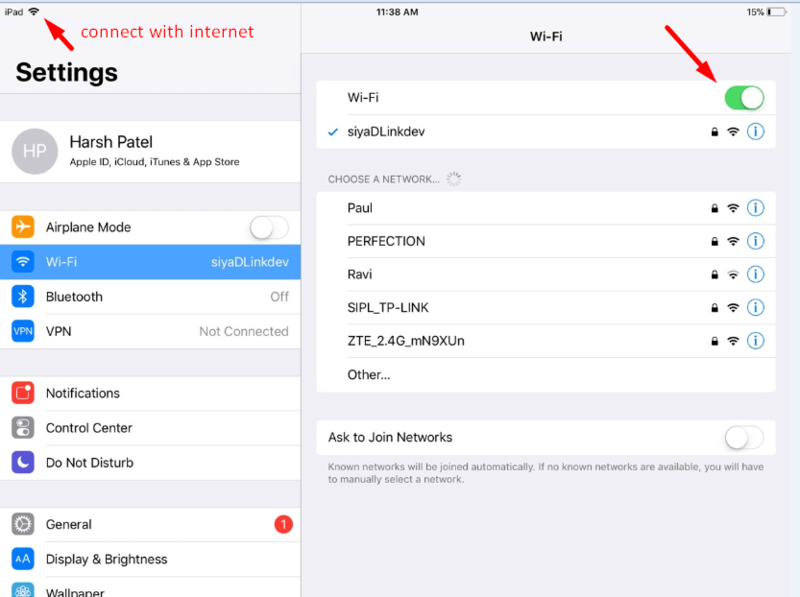 Ipad will connected to network. 1. 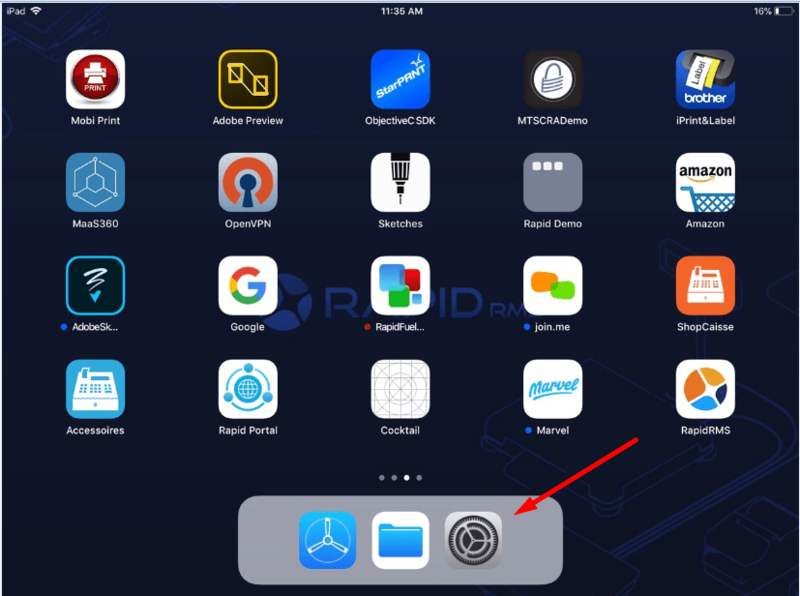 Double tap on home button from ipad. 2. Screen for shortcut should display. 3. If internet is connected then Wi-Fi option should display enable. 4. Click on Wi-Fi icon. 5. Wi-fi icon will disable. 6. Ipad will disconnected and goes to offline. 7. 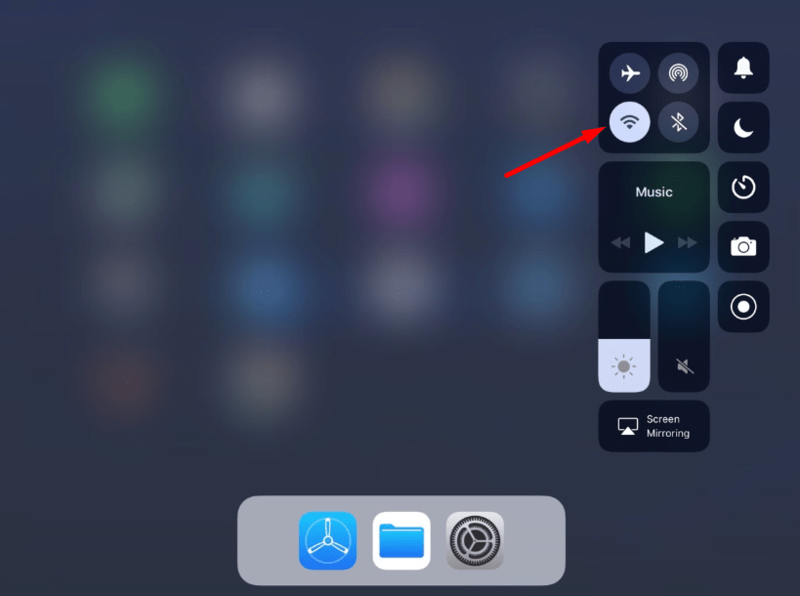 Again double tap on home button and hit Wi-Fi icon from shortcut screen. 8. Ipad will connect with internet.